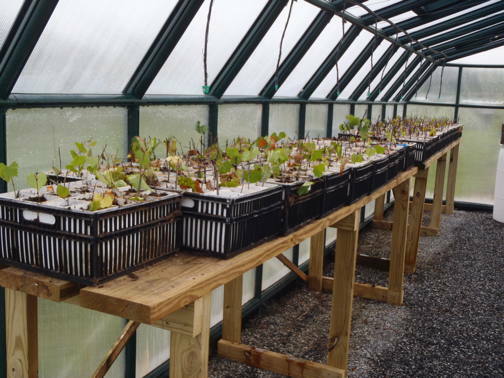 The Blethens are building a propagation greenhouse, which will be used to grow their own muscadine rootsock for sale to prospective viticulturists. Muscadine cuttings require unique growing conditions and careful attention to root. The Blethens currently have more than 50 people waiting for vines, and are working with NC Cooperative Extension and AB Tech’s Bio-Business Network to build the muscadine industry. They are promoting wild mountain muscadines because they are cold-hardy and grow naturally on steep slopes in the residual-granite soil of their region.